Instead of doing a completely new strategic plan - we opted to do a refresh of the 2012-2017 strategic plan that was completed with ample consultation with staff, physicians, volunteers, patients and their family members, healthcare partners, and the community. We feel confident that the bones of our strategic plan remain strong and relevant. Determining a focus is essential for any organization. In a chaotic field like health care, it provides us with a clear guiding light to work toward. 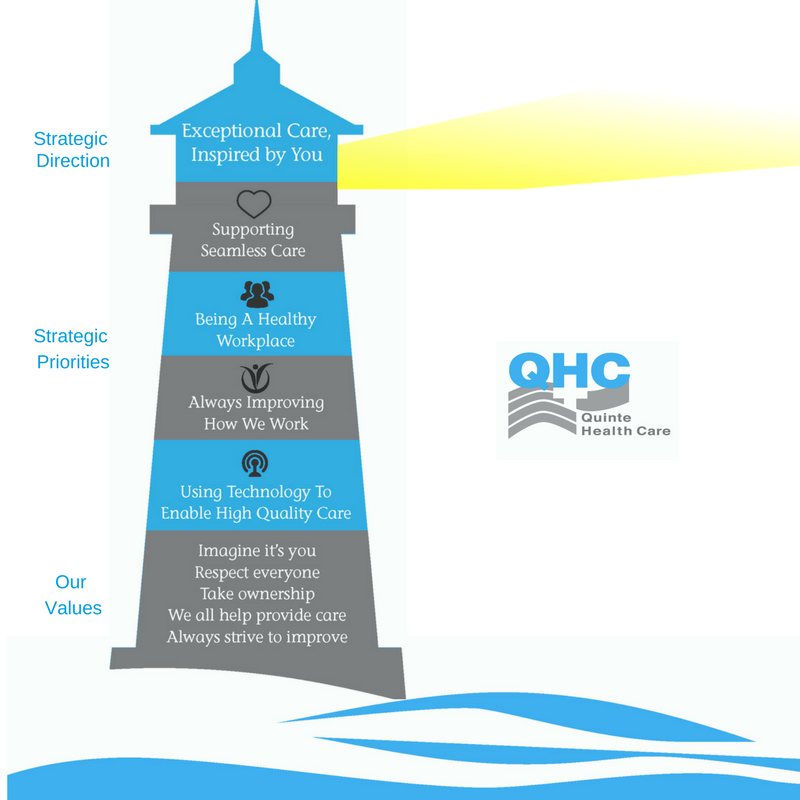 “Exceptional care, inspired by you” becomes our single strategic direction in this new refreshed plan – the beacon for the entire QHC team. That beacon is our point of reference and guides our decisions. This plan will be our guidepost for the next leg of the QHC journey. Like a lighthouse, it provides a visible navigation tool during smoother times and a beacon to guide us through choppier waters. Strategic planning is about making decisions on how to allocate limited resources – both human resources and financial resources - within an environment of uncertainty and ongoing change and transformation. As a result, we made this refresh even more specific, with four clear strategic priorities and measurable goals. Mission: Our mission hasn’t changed. It explains why QHC exists: We are an integrated system of four hospitals working with our partners to provide exceptional care to the people of our communities. Vision: Our vision defines what our communities and staff want QHC to be. Based on input during the strategic plan refresh, our vision has become even more clear and succinct. The QHC team will provide exceptional and compassionate care, inspired by the people we serve. Values: Our values have not changed. The part of our strategic plan that I am most proud of, are our values. Our values define the way we go about doing business. They were developed by our staff and they capture the words our staff said were important. For the next three years, we will focus on four Strategic Priorities. The four strategic priorities will be turned into annual tactical plans that will focus our efforts and help us make decisions on how to allocate our resources. Supporting seamless care is the first priority. It’s important to note that the three next priorities are the building blocks that will help us deliver on the top priority of supporting seamless health care for patients and families. Being a healthy workplace. 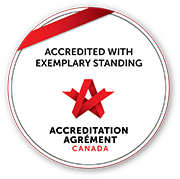 We can’t deliver exceptional care without a healthy workplace where staff and physicians feel physically and psychologically safe. Always improve how we work. We need a culture of continuous improvement where everyone on the QHC team is focused on improving how we work and deliver care. Using technology to enable high quality care. Having the right technology is imperative to our teams being able to deliver and support high quality care. The priorities build off of each other to move us towards our single strategic direction – Exceptional Care, Inspired by You! For each of the four strategic priorities, QHC leaders and staff are developing annual plans that will move us towards exceptional care, inspired by you. These detailed action plans are based on what we heard from staff and physicians during the strategic plan engagement process and research into best practices. Each priority has an executive sponsor and steering committee that will monitor progress against specific goals to determine if the identified initiatives are having the desired impact and make adjustments as needed. QHC leadership and the Board of Directors will monitor the implementation of this strategic plan.